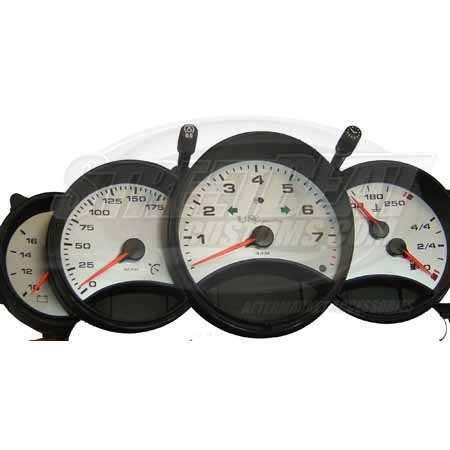 US Speedo Exotic Gauges produces premium quality stainless-steel and exotic color replacement instrument faceplates that fit over the factory overlay. Each stainless-steel piece is precision etched from .005 thousands/inch thick stainless steel. This unique process gives your vehicle the look that only REAL STEEL can without reducing night visibility at all. If you are not into the steel look, consider exotic color gauges from US Speedo to provide a sharp custom look to any vehicle.